Dr. Propst attended undergraduate school at Southeast Missouri State University and graduated from the University Of Missouri - Kansas City School of Dentistry. Following Dental School, he completed a general practice residency at Jewish Hospital, part of the Barnes Hospital Complex in St. Louis, Missouri. Dr. Propst was on staff at Jewish Hospital and practiced general dentistry in St. Louis for 3 years while his wife completed her Orthodontic residency at St. Louis University. In 1998 he completed a Postgraduate Program in Esthetic Dentistry at the University of Missouri - Kansas City School of Dentistry. 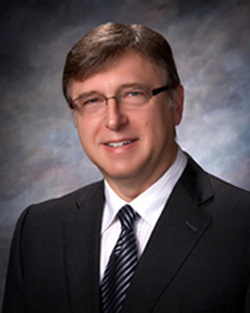 Dr. Propst’s hobbies include tennis, skiing, and traveling with friends and family. I appreciate the time you’ve taken to visit this site and find out more about our St. Joseph, MO dental practice, my team, and the many dental services we can provide to help you achieve optimum oral health.